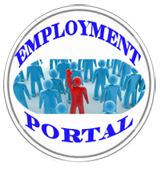 Recruitment is for the project E-Mitra Facility Management Services project of Government Of Rajasthan and the candidates will be on rolls empanelled manpower agencies of UTI ITSL. Become familiar with the Recruitment of Clerks 2012 at TMB. Learn more about the Recruitment of Clerks at TMB. Great Opportunity to work at TMB. Click Here to Know More. Read the complete details and register on the eApplication Portal to apply online. Applications are invited for the following posts of Professors/Directors, Contract Lecturers, Research Assistant, Engineering Assistant, Programme Executive (Under SFS) on Contact Basis.